Mental health experts have studied the effects of racism on mental health and have shown evidence that racial discrimination can have a negative impact on a person’s psychological state. Several studies have shown a clear link between racism and depression as well as symptoms of many other issues including suicidal behavior. Racism can cause heightened psychological stress and repeated victims can be much more vulnerable to developing long term mental health issues as a result of their experiences. Racism and discrimination can take many forms including hate crimes, violence and verbal or emotional abuse. People that deal with racism for much of their lives often end up living with the effects of chronic stress caused by discrimination. Chronic stress can have many negative physical and mental health effects including anxiety, depression and reduced self-esteem. Victims of racism of any form are essentially experiencing repeated traumatic interactions in their day to day lives. It can lead to complicated psychological issues over time such as internalized hatred and apologetic thinking that they use as a coping mechanism. It can be difficult to resolve many of these problems associated with racism without the help of a professional therapist or psychiatrist. Studies on emotional and physical stress from racial discrimination have shown that African Americans tend to have higher stress levels than white individuals. Stress levels can be especially high in black communities where violence and hate crimes take place. One study showed that the stress levels in Ferguson, Missouri after the shooting of Michael Brown were at an all time high with 34 percent of the community meeting the criteria for PTSD. Violent events are not the only type of racism that can affect mental health however. It is also daily acts of racism such as microaggressions which can lead to depression and stress over time. Microaggressions are brief and commonplace interactions which communicate hostile, derogatory or insulting messages to people of color. Microaggressions that occur regularly can have effects which accumulate over time and contribute to psychological or physical health issues. People who experience racial discrimination often have a “fight or flight” response which increased blood pressure and heart rate when they are in the presence of someone with racist ideas. When this level of stress happens often it can cause anxiety and depression over time. 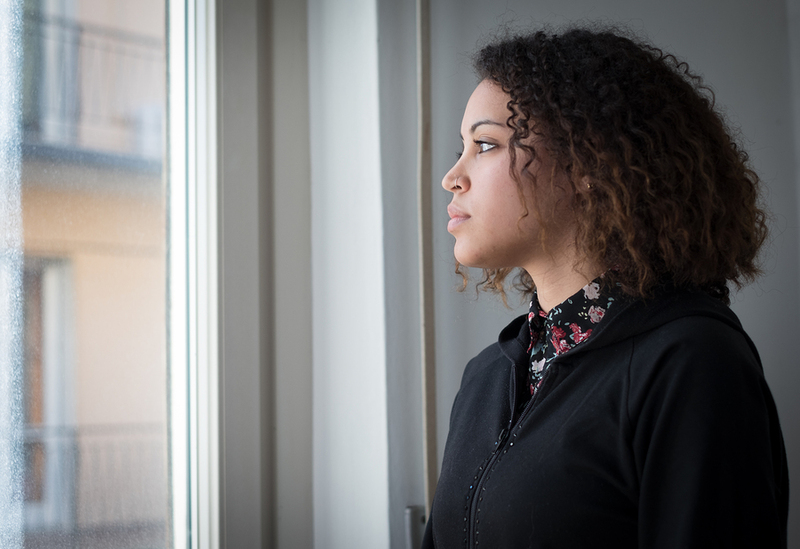 There are a number of different issues related to racism that can lead to depression. In addition to experiencing microaggressions at school or in the workplace, simply living in a community with a smaller population of minority groups can negatively impact health. When someone is only one of a small ethnic group in their community they often feel more alienated and can experience more discrimination which can make them more likely to suffer from mental illness. Studies have found that minorities living in predominantly white neighborhoods are nearly twice as likely to suffer from mental health problems like depression, psychosis or suicide attempts. Minorities who endure verbal abuse are three times more likely to suffer from mental health issues and those who have experienced a racist attack are five times more likely to suffer from psychosis. Those who have racist employers are also 1.6 times more likely to have psychological issues. Many areas throughout the U.S. have alarming rates of depression and suicide ideation in minority communities. In Wisconsin for example, 16 percent of black high school students reported suicide attempts while only 4 percent of white students attempted suicide at least once. Racial discrimination among young black men has been proven to be a predictive factor for anxiety and depression up to the age of 32. Other minority groups also struggle with mental health issues due to discrimination. In the U.S. depression is the second leading cause of death among Asian American women between the ages of 15 and 24. This demographic has also long had the highest suicide rate of other women in the same age group. Studies have shown that Hispanic immigrants also experience health problems as a result of discrimination including sleep disturbances. The stress that they experience due to racism can cause sleep problems which are a precursor to depression. Discrimination has also been shown to cause a chronic rise in blood pressure. Unfortunately some minority communities may have limited access to mental health services or they may have a significant stigma about therapy. Psychiatric treatment remains taboo in many communities of color which can be a major barrier to reducing the problem. People who experience chronic stress and depression as a result of experiencing racism can benefit greatly from psychological treatment. Psychological help may be a beneficial pathway to better health but improving relationships between different racial groups in certain communities would help reduce the negative impact that racism can have on minorities.